What are the buildings introduced with the Familiar system? What do they do? 1. Monsterhold: View the list of all your Familiars here! You can also level up and enhance your Familiars here. 4. Gym: Assign heroes to train your Familiars here. The number of Heroes assigned to a Familiar will affect the EXP received, while the Grade of the Heroes will affect the time it takes to train the Familiar. Familiars will gain Skill EXP while training in the Gym when they hit Lv 60. You can unlock this buildings at skirmish 8. I will be telling here about research and what to do in start from my experience. 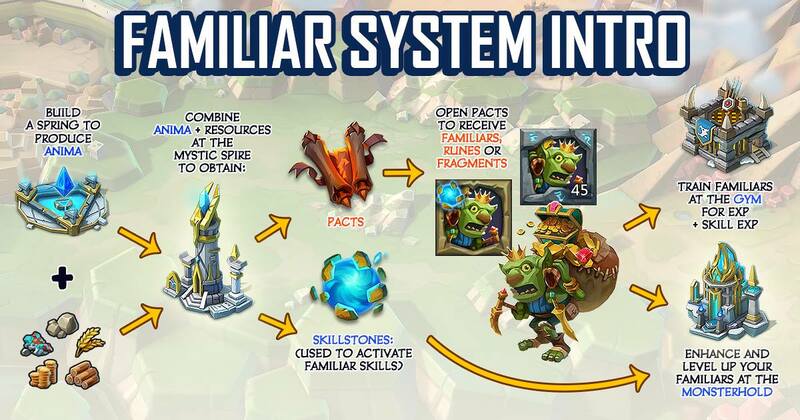 Familiars have 2 types of skills support and attack for attack skill you will require skill stones. support skill some are permenant some have cooldown timer to use them. Cooldown timer skills are on the game page. Familiars will grow Hatchling→Adult→Elder. there are 5 rarity level 1 to 5, higher rarity requires higher runes & fragements aswell experience also. 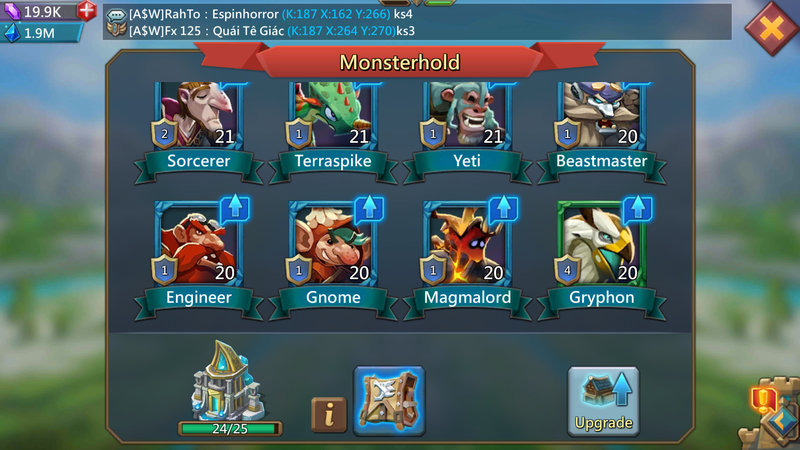 Unlock your research till pact 3 first try to have all of them to Adult only. Now focus on what you want. Research pact 4 requires huge time dont run for it as you still have other important research yet to be completed. and your familiars still need a lot of things to be work on. NEVER USE RUNES FOR FAMILIAR SKILLS SAVE THEM FOR UPGRADE ONLY. Always use your fragements only for skills upgrade. Make 2 Gyms as you always have limited heroes make rest ponds which increases merging speed. Gym is more needed if you've more heroes to train you can increase the number of gyms. A new story for it is written already by me so you can refer it. level 4 — 16 fragments or 1 runes. so by going 4 3 2 1 … 16 (level4) plus 24 (level3) plus 24 (level2) plus 16 level . compare with earlier cost which i shown and you can compare the saving. Always go from high to low. Never use runes for upgrading skill. Familiars will take time from adult so give priority and go for it. 1st method 120 fragments & 2nd method only 80 fragments still choice is yours. When the moon merging event comes the cost of pact is reduced to 10% only so when the event is on try to do highest available pacts with you. Priority should be Pact 4 – 3 -2 -1. Try to use speed ups also if you have some. 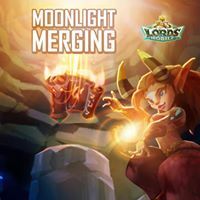 To take the benefit of low costs if you are doing pact 4/3 in moon merging. 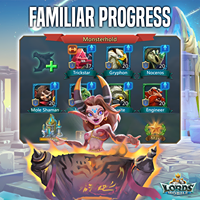 Try to focus on 1 or 2 familiars after level 20 upgrade them than focus on others.